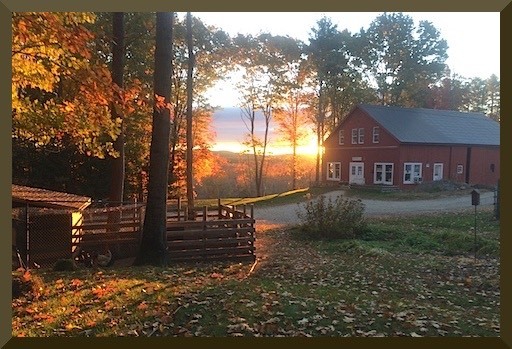 Yankee Farmer's Market and Pitcher Mountain Farm provide high quality, pasture-raised meats in a sustainable small farm setting. 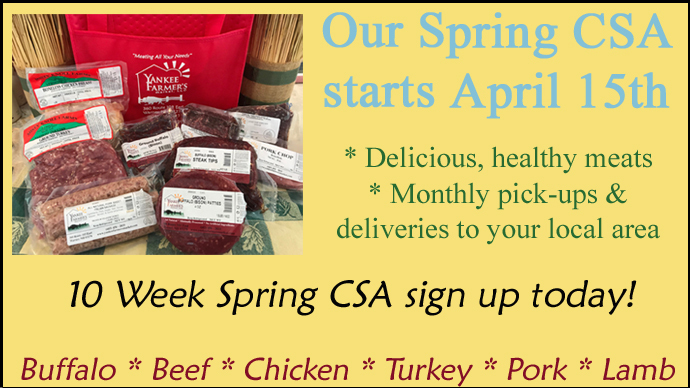 Call, visit or shop online to enjoy our full line of New England all natural, hormone-free and anti-biotic free meats. 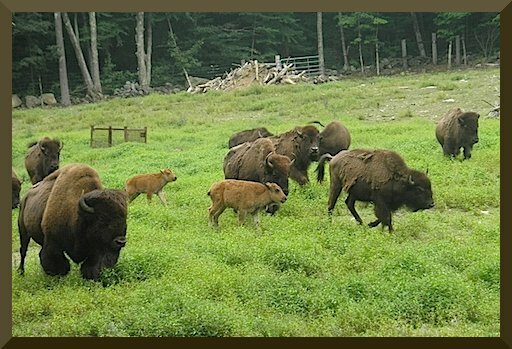 Visit us where the buffalo roam, in Warner, NH. 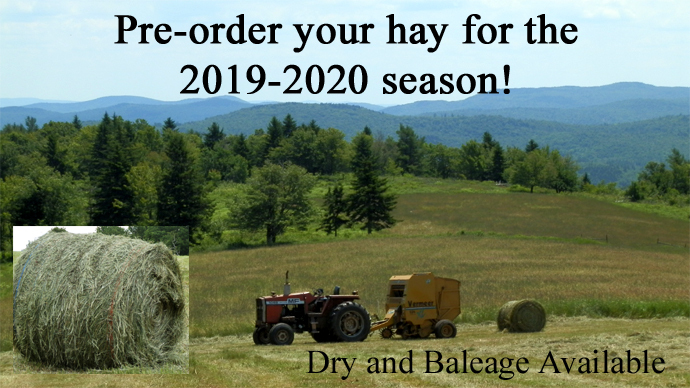 Enjoy shopping at our retail store on the farm, or online. We ship nationwide! We believe in raising our animals in natural open environments, providing them with the best quality feed and clean water. Read more about us and our commitments today. 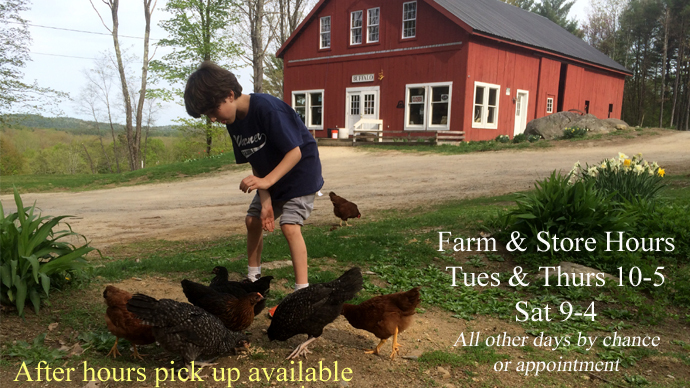 Bring the family to see the animals and pick up some healthy and delicious meats while you are here! Enjoy healthy, pasture-raised buffalo today! We believe the secret to creating quality buffalo meat starts in the pasture. Our buffalo are raised on pasture with acres and acres of room to roam. They eat an all natural diet of mixed grasses, and drink fresh, clean water. All bison are USDA inspected, high quality, humanly harvested and 100% natural. 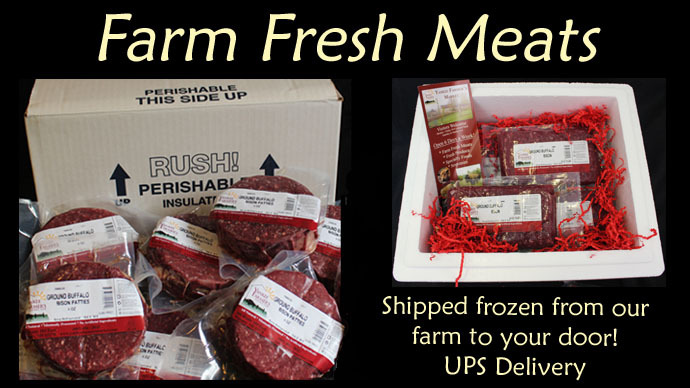 High quality, all natural, vacuum sealed meats including, Pasture Raised Buffalo (Bison), Grass Fed Beef, Natural Venison, Elk, pastured Pork and free range Chicken and Turkey. Our cuts available include ground, patties, sausages, hot dogs, steaks, tenderloins, roasts, and ribs. We also offer hides, skulls, bones and pet treats. It's our pleasure to also offer lots of locally made items like honey, jams, dips, mixes, soaps and more. 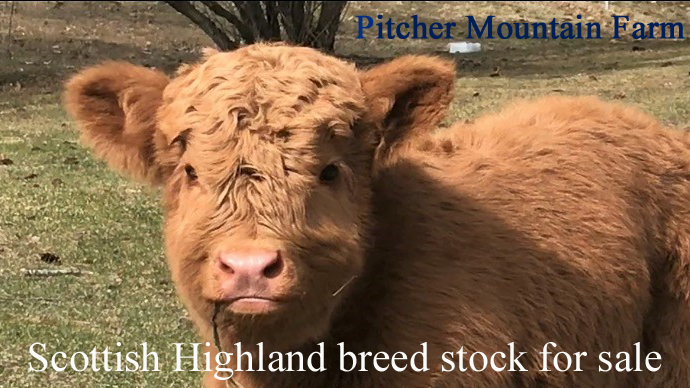 And for those looking to farm, we also sell breedstock - calves, heifers, cows, and bulls, and seasonally we have wood and compost available as well. At Yankee Farmer's Market it is our mission to provide healthy, natural and local products, and support sustainability in agriculture and positive climate change through passionate land and animal stewardship, and working together with other farms and like-minded individuals. We take great pride in our animals, farms and products. We have been serving the New England area since 1998. Members of the YFM Team! The American Heart Association recommends bison as a heart-healthy red meat. 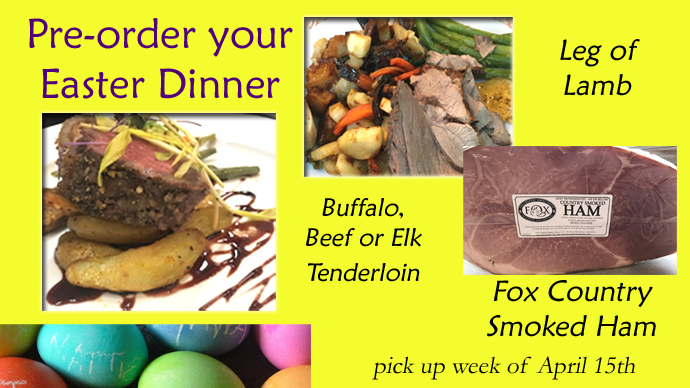 Rich in vitamins and minerals, low in calories, and bison is naturally low in saturated fat and cholesterol. No hormones, preservatives or stimulants... ever. 100% pure and natural.